Dr. Morganna Freeman is a skin cancer specialist at City of Hope, an internationally recognized Comprehensive Cancer Center. She completed Internal Medicine training & Chief Residency at the University of Florida and Hematology/Oncology fellowship at H Lee Moffitt Cancer Center. 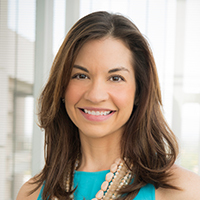 A Fellow of the American College of Physicians, she is dual board-certified in Medical Oncology & Internal Medicine, and completed a formal health policy fellowship followed by a 3-year tenure with the ASCO Government Relations Committee. In addition to her scientific interests, she is a devoted public health advocate with a special focus on preventing skin cancer in teens & young adults, and an honored recipient of the 2018 Melanoma Research Foundation Humanitarian Award. Your ticket for the: Dr. Morganna Freeman, D.O.